Implementation of the Food Safety Modernization Act’s (FSMA’s) Produce Safety Rule (PSR) is well underway, and our largest farms, those with over $500,000 in annual produce sales averaged over the previous three years, reached their compliance date this past January 2018. In addition to the faculty in FSHN, Michelle Danyluk, Renée Goodrich Schneider, and Keith Schneider, the Produce Food Safety Team has added two State Specialized Extension Agents over the past two years, Travis Chapin and Matt Krug. Travis Chapin was previously a biological scientist, and moved into his role in December 2016. Prior to this he received his MS in Food Science from Cornell University and a BS in Food Science from Texas Tech. He’s located at the Citrus Research and Education Center in Lake Alfred. Matt Krug joined us after completing his MS in Food Science from Kansas State University, where he previously received a BS. Matt Krug is located at the South West Florida Research and Education Center in Immokalee, where he arrived in April 2017. One of the requirements of the PSR under FSMA is that at least one individual from all growing, harvesting and packing operations covered under the PSR must attend “food safety training at least equivalent to the standardized curriculum recognized as adequate by FDA.” The Produce Safety Alliance (PSA) Grower Training is the standardized curriculum that FDA recognized as adequate and there are not yet any alternative courses recognized as equivalent. We have offered the PSA Grower Training since October 2016. The Produce Food Safety Team worked to offset the cost of developing trainers in FL through the Southern Center for Training, Education, Extension, Outreach, and Technical Assistance to Enhance Produce Safety (sc.ifas.ufl.edu), established by a USDA NIFA grant in September 2015 involving a consortium of 18 Land Grant Universities, Non-Governmental Originations (NGOs) and Community Based Organizations (COBs) on which Michelle Danyluk is the lead. 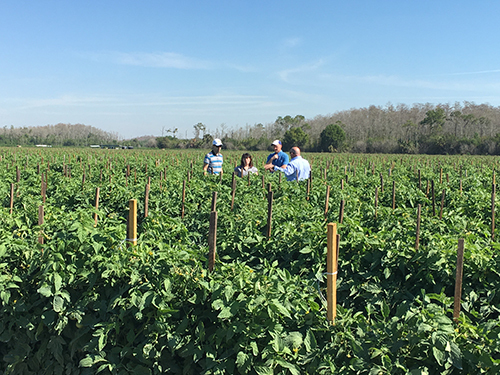 We have also worked to offset the cost of the training for growers and to develop materials specifically for Florida commodities through a Specialty Crop State Block Grant in March 2016, on which Keith Schneider is the lead. 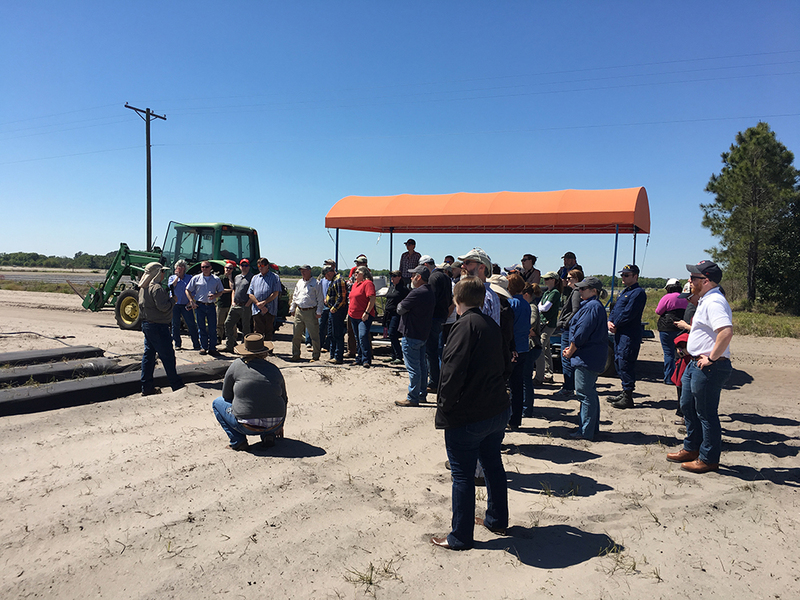 The FDA, through their Cooperative Agreement Program, has granted funding to many of the state departments of agriculture, including FDACS in Florida to deliver education and outreach to assist farms in complying with the PSR. We received a sub-award in 2017 from FDACS under competition A in 2017 to help deliver food safety training to stakeholders in Florida and Renee Goodrich Schneider is the lead. 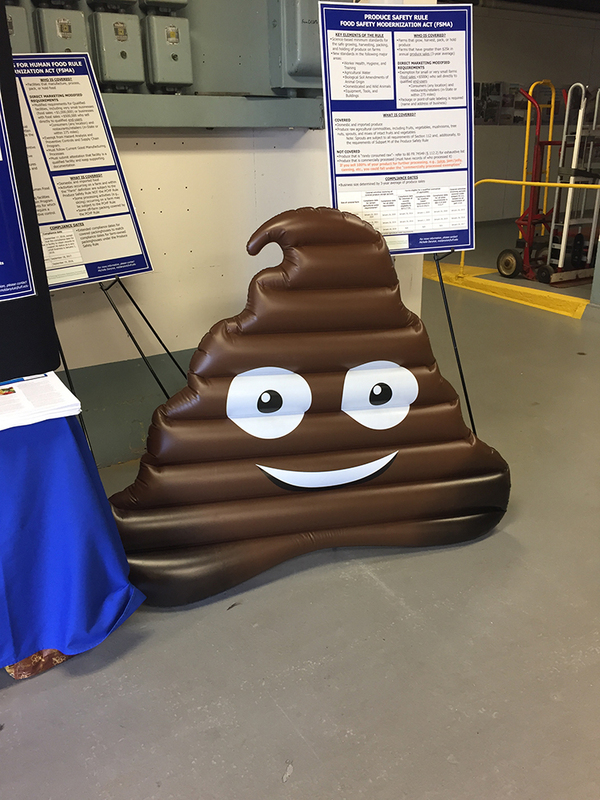 Under this sub-award, we’ve been able to add two Training Specialists to the Produce Food Safety Team, Rachel McEgan and Jessica Lepper. Rachel McEgan comes to us from the food industry. Prior to that, she was a program coordinator for a food safety college program in Canada; she previously received her PhD in Food Science at UF. Jessica Lepper has been part of the training team since we started FSMA training in 2015 and has moved into this new role. She previously received her MS in Food Science from UF. 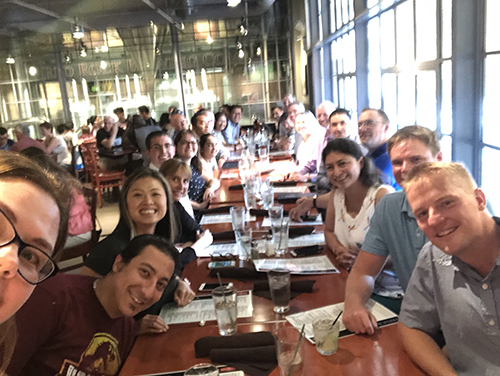 Rachel McEgan and Jessica Lepper are fantastic additions to our team, and are now coordinating our PSA Grower Trainings and conducting On-Farm Readiness Reviews (OFRRs, discussed below). The FDA also established a cooperative agreement with the National Association of State Departments of Agriculture (NASDA) to work collectively with the state departments of agriculture who have cooperative agreements with FDA (like Florida) to implement the PSR in their respective states. Out of the need for one-on-one technical assistance, the Produce Food Safety Team have been working on a cooperative agreement with NASDA since 2015 to develop the OFRR program, with four state departments of agriculture (North Carolina, Michigan, Oregon, and Vermont), three other land-grant universities (Michigan State University; North Carolina State University; and Rutgers University), the PSA, USDA, and FDA. An OFRR is a free and voluntary educational opportunity intended to walk producers through what an actual PSR inspection on their farm may look like, before a real inspection is conducted. These are performed by either Rachel McEgan or Jessica Lepper from our team, along with one person from FDACS. Of course, we continue to offer our long-standing extension courses like HACCP and GAPS, and have started to offer new courses related to other FSMA rules but the produce industry is critical to Florida and we wanted to highlight the tremendous staff additions, grants received, and training efforts involve with our Produce Safety Team over the past three years. We only anticipate this program to grow as the PSR continues to be implemented across Florida, by adding additional staff, continuing our partnerships with FDACS, and expanding the reach of the Southern Regional Center to a National level. If you’re interested in any of our upcoming training events they can be found here (https://sc.ifas.ufl.edu/) and here (http://www.crec.ifas.ufl.edu/events/).